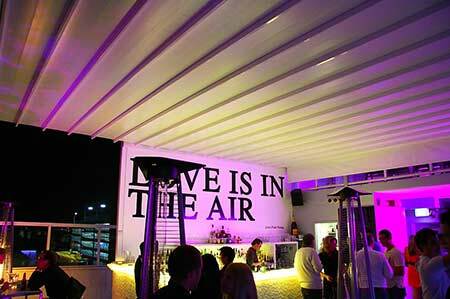 Retractable Fabric Roof Range by Tecnic. 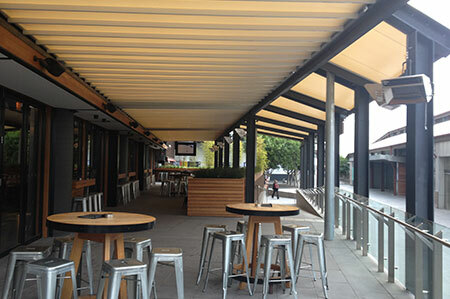 The Alutecnic Series Retractable Fabric Roof offers commercial & hospitality outdoor spaces with complete design flexibility & functionality for year-round comfort. 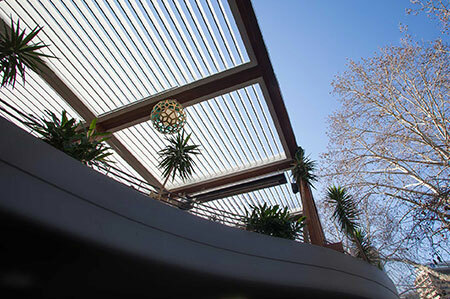 The System offers optimum protection against sun, wind & rain. 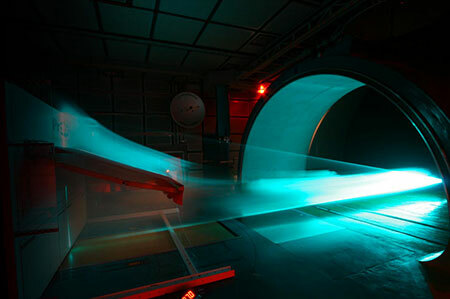 The Alutecnic system has been tested & wind rated to withstand wind speeds of up to 110km/hr. The Alutecnic incorporates a design philosophy that ensures it will integrate efficiently with your structure & your architectural exterior finishes. Tecnic has derived an easy way to specify & gain a costing for your projects. Simply select from each of the 5 steps within our Design Your System page & you will be on way to creating a specification. If a project costing is required please enter the relevant information into our ‘Project Costing’ tab & we will email an accurate costing based on this information. Go to the Design Your System page now to start your specification. 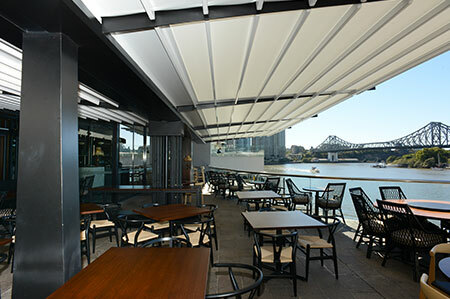 The open air culture – Alutecnic Series – Retractable Fabric Roof Systems combine advanced engineering ingenuity with innovative functionality. 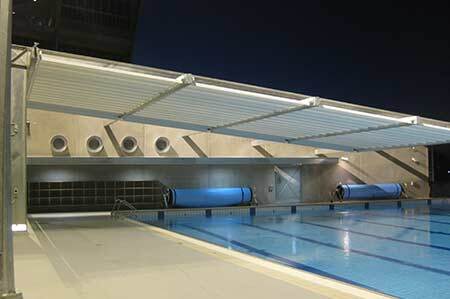 Tecnic Alutecnic Series Retractable Roofs are manufactured to your specifications & are available in a sophisticated range of colours & finishes. Our Image Gallery showcases some of our past designs, colour combinations & integrated accessories that may inspire you at design stage. For the answers to some of those early planning questions on your project we have collated what we believe to be the most commonly asked questions that will assist you in those early stages. 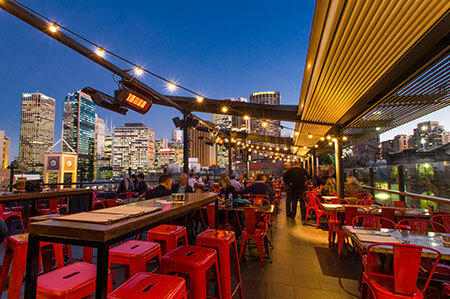 Tecnic as a team are privileged to have worked on a number of Australia’s high profile commercial projects with many leading architects, developers and builders, forging lasting relationships from delivering high-quality products that have lasted the test of time. 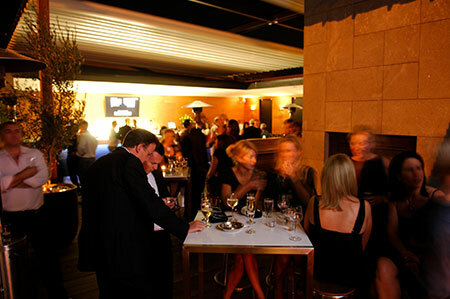 Our core approach to achieving successful project outcomes is a direct result of working proficiently & collaboratively with some of Australia’s leading architects & builders. Testimonials we receive from our clients is very gratifying & it represents what we are striving to achieve on each & every project. We are committed to a disciplined approach. 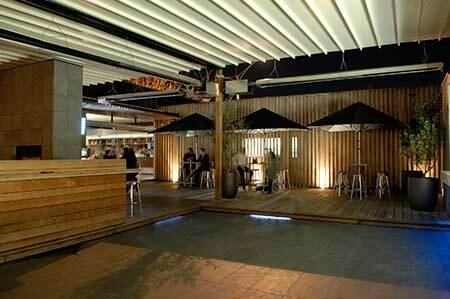 Our professional expertise covers the full spectrum of design, manufacturer & construction skills. Our staff and systems are also highly mobile & this ensures the right project team with the appropriate skills are assembled for your project. 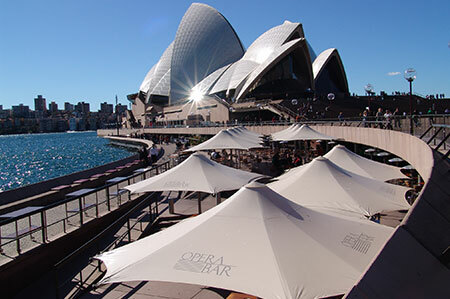 The Street Umbrellas range of high-end commercial umbrellas are specified regularly for leading commercial projects worldwide. The range offers unmatched high-end detailing that sets new standards in engineering. 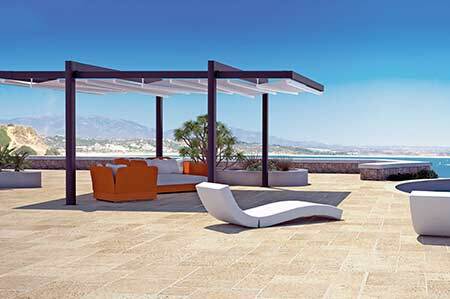 Mix and match from a variety of sizes, canopy shapes & support configurations to ensure your next project becomes distinctive and eye catching in appearance.